Like the many colors leaves change in the fall, there are a variety of fall festivals in Jacksonville you and your family will enjoy this season. We’ve all been to pumpkin patches, but have you ever been to a Pumpkin Plunge? It’s like a pumpkin patch in a pool, so you’ll definitely want to bring your swimsuits to the Dye Clay YMCA on Friday, October 19 at 7 p.m.
Before that, the kids can also enjoy trunk-or-treating at 6 p.m. as well as a cake walk and Halloween games with prizes. This fall festival in Jacksonville is free and open to the public, so bring the whole family! Just 20 minutes outside of Jacksonville, the Orange Park Fall Festival is a huge event with over 200 artists and vendors plus great food, live entertainment, and activities for kids. 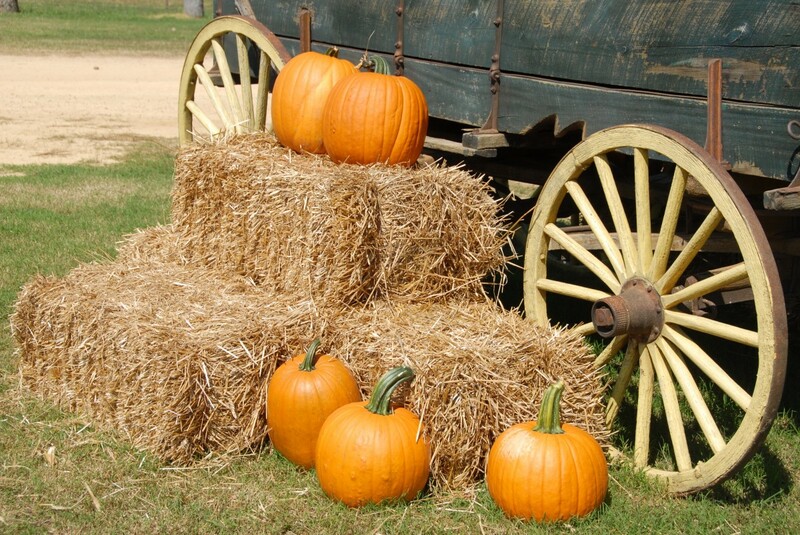 This fall festival runs October 20 and 21 from 10 a.m. to 5 p.m. at Town Hall Park. While admission is free, wristbands ranging from $10 to $15 are required for the Kids Zone with a rock climbing wall, bungee jump, pony rides, aqua bubbles, and inflatables. Head to Conner's A-maize-ing Acres for their Fall Family Fun Fest on Saturday, October 27 and spend a day on the farm going on a scavenger hunt (10 a.m. to 1 p.m.), entering a costume contest with several categories (2 p.m.), and braving a haunted trail (7 p.m.). During the scavenger hunt, kids will find characters on the farm, and the first 300 will get a treat bag. Admission to the farm and corn maze is $15 for ages five and up, $12 for those ages two to four as well as seniors, and free for those under two-years-old. On Saturdays, there is a discount for all military personnel as well as police, firefighters, EMTs, and scouts. On Saturday, November 17, this community food and wine fall festival at Seawalk Pavillion is definitely a highlight of the season with a wine-tasting area, local food trucks and vendors, live music, craft beer, and plenty of fun for the whole family. Wine & Trucks is a free event, but the wine tasting does require tickets, which can be purchased online from $35 to $45. There’s something for everyone at these fall festivals in Jacksonville, so get out and make the most of this season by having some fall fun! Find more events in Jacksonville by registering on 904area, your free guide to everything in the Jacksonville area.